Great for using with the clonk on thier own or as the glowing attractant to a cocktail. Available in packs of 2 in the following combinations. 3 Lures Supplied in a pack. Special Rig Rattle can be used to add vibrations to livebaits, but also to Lures like CatMaster Tackle Jig Power Spread Shads. Two steel ball bearings in a special clear palstic sealed tube. 6mm in diameter in length. 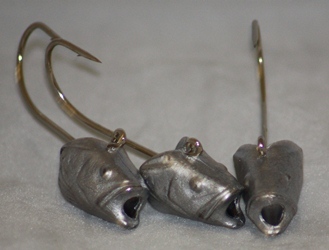 After you have attached the shad to the head, thanks to its unique hole through the head, you will then be able to fill in the head and the lure with attractant, Gel or even our rattle. The each time the lure moves and darts, wtare will first penetrate the head and flow throgh the body and leave a scent trail from the tail. A totally new concempt in lures. 3 Jig Heads Supplied in a pack. 2 Jig Heads Supplied in a pack. A world leader: Special spoon for wary catfish and heavily fished waters. Spoons often give themselves away from the moment they hit the surface with their rattling hooks and swivels. The Silent Runner makes none of these metallic nosies because the spoon is mounted directly on the line. Developed & tested on the River Po. A slim wobbler with optimal properties. Allows you to target catfish accuratley in remote swims. A special spoon with outstanding swimming characteristics. With its percussive swimming action the spoon imitates escaping prey. The ultimate spoon for tempting Catfish to rise to the surface. A special spoon with high weight and excellent swimming characteristics. The Detector Spoon entices Catfish from the moment it hits the surface. Special spoon consisting of two closly attached plates. Creates considerable noise underwater - Dinner bell call for large Catfish ! Long casting spoon for river fishing at long range. The ultimate lure for river enthusiasts. An attractive lure which can be enhanced with worms or squid. Best fished vertically under the boat when clonking. A special rig which can be enhanced with worms or squid when clonking. 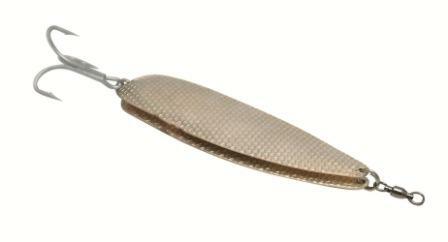 A perfect pike imitation SOFT LURE. available in 4 different sizes. 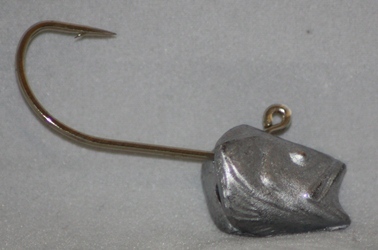 Complete with an addition ring on the bottom of the bait for an additional treble hook.